The company that produced M&Ms (pronounced Eminem) famously advertised that their product “melts in your mouth, not in your hand.” If there had been M&Ms in Weimar Germany would there have been a Third Reich? Many epigones and Herr Hitler himself would have been put out of business both because of their mouths being full and from the debilitating blast produced by the sugar high. The title of Francis Fukuyama’s book is The End of History and the Last Man and one would similarly wonder what effect mint flavored M&Ms would have had on both regime change and the prospect of millenarian ideologies. 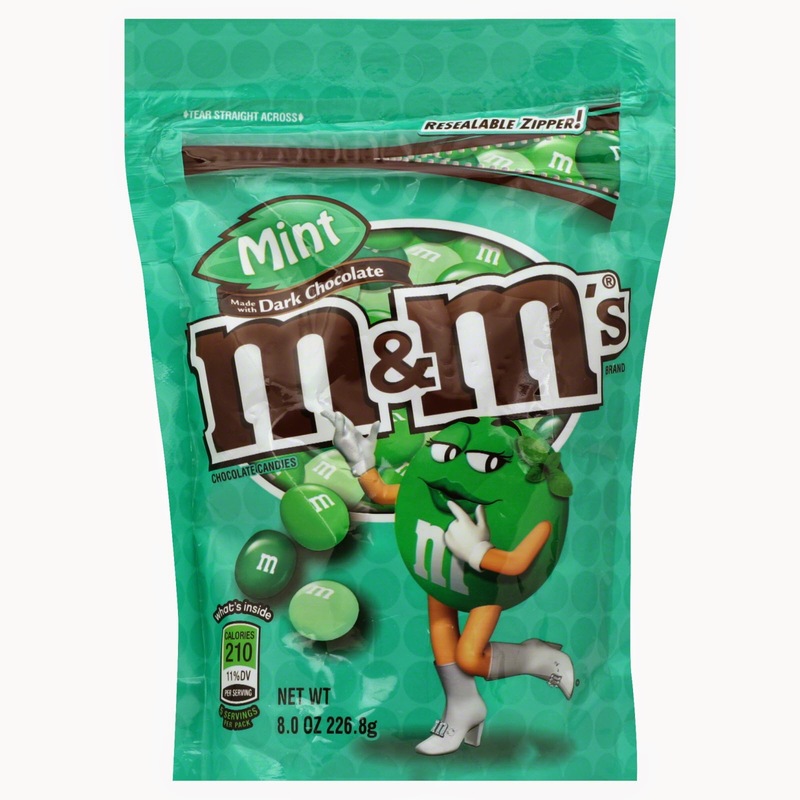 As anyone who has tried this relatively new addition to the M&M family will testify, the mint taste begins to assert itself at the event horizon of the M&M, ie that point where the hard shell melts and gives way to the soft center. M&Ms are guaranteed to melt in a dictator’s mouth, but the mint M&M which is hair's breath larger produces a set of taste and olfactory sensations whose net effect is to mollify and cool down even the most obdurate and headstrong sensibility. Would Uganda have had it’s bloody history if Idi Amin had been introduced to these delightfully medicated menthol pebbles? And what about Franco, Mussolini and even Pol Pot? Should the United States partner with its allies and bombard the North Korea with mint M&Ms in order to induce that countries famed film critic, Kim Jong-un, to cease cyber attacking companies who release movies he doesn’t like? What if mint M&Ms were put in Bill O’Reilly’s soup? Would he finally admit his misrepresentations? What if Brian Williams had taken a bag of mint M&M’s with him when he got on the chopper in Iraq? And let’s not forget Lance Armstrong. Will mint M&Ms someday change the course of history and eventually free us from terrorism, global warming and the endemic inequities of our economic system? Nay or yea? Hopefully posterity will answer in the affirmative. An attack on free expression has come from one of the most unlikely places. A recent Times headline read “Six PEN Members Decline Gala After Award for Charlie Hebdo," (NYT, 4/26/15). Salman Rushdie, who was the object of a fatwa for The Satanic Verses: A Novel, was not part of the protest. Peter Carey, the novelist was one of the group which included Francine Prose, Teju Cole, Rachel Kushner, Taiye Selasi and Michael Ondaatje. The Times quoted Peter Carey thusly, “A hideous crime was committed, but was it a freedom-of-speech issue for PEN America to be self-righteous about? All this is complicated by PEN’s seeming blindness to the cultural arrogance of the French nation, which does not recognize its moral obligation to a large and disempowered segment of their population.” Isn’t this a little like allowing the schoolyard bully to terrorize his classmates by saying that he has a troubled home life?” One of the few good things about the French is the high esteem in which the hold free expression. There's probably no other country on earth where all shades of the political spectrum adhere to a similar veneration for free speech. Yes the French can be arrogant, impossible and even as racially insensitive as liberal American members of organizations of PEN who camouflage their prejudices by signing self-congratulatory petitions against the oppression of have-nots while lacking countervailing sensitivity to the protecting the rights of the haves--like themselves. But how can they not stand tall for Charlie Hebdo which is after all an equal opportunity employer lambasting both Islam and its most virulent critics. 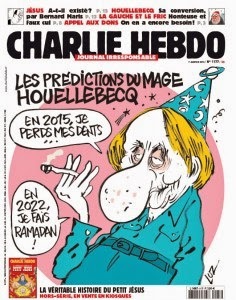 Indeed on January 7, the day of the massacre, Michel Houellebecq, who famously termed Islam “the stupidest religion," was pilloried on the cover of the magazine. “There’s no one to say I can’t resist temptation,” “he needs help, someone he can love and trust,” “a daughter’s duty is to her father,” “we don’t have a right to expect happiness,” “this has been a university of suffering for me,“ “you have no idea what this has cost me,” “who am I to judge you or to forgive you,” “I brought you into the world,” “I didn’t ask you for life.” These are all lines from Richard Eyre’s adaptation of Ibsen's Ghosts currently playing at BAM. 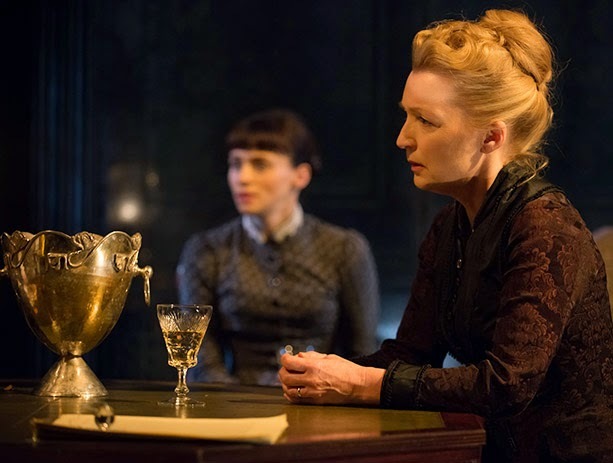 The words are searingly delivered by Ibsen’s widow Helene Alving (Lesley Manville), her sickly son Oswald (Billy Howle), her servant Regina (Charlene McKenna), her pastor, (Will Keen) and her servant’s father Jacob Engstrand (Brain McCardle). Eyre who also directed gives them the haunting quality of a Greek chorus, reminding the audience of the inevitability and inescapability of fate. Tim Hatley’s design which uses a scrim to layer the action makes it possible to the see the ghosts, the apparitions of the past, in the present. Oswald, as we know, is suffering from syphilis, but penicillin is not the cure and neither is freedom from nineteenth century repression and loveless self-sacrifice. If we remember Oedipus did everything in the book to avoid his fate. If he had been less willful he never would have murdered his mother and married his father. Terminal illness of either a physical or spiritual nature is terrifying and there's a tendency to move from shock to blame. Hindsight is never 20/20 when it comes to mortality or the blank indifference of the universe and that's ultimately the tragedy Ibsen’s characters succumb to in the play’s current iteration at BAM. Eyre’s production doesn’t make you think; there’s no room. It's neither a good or bad thing. This Ghosts is simply too dark and true, but one almost wanted The Wooster Group, whose signature style lies in freeing language from narrative, to intervene. “The Sun, the Sun” are the famous last lines. Kierkegaard talks about the esthetic, ethical and religious stages and one wonders if the current production, however masterfully conceived, might have benefited from more artificial light. 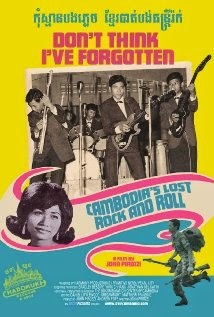 Malik Bendjelloul’s Searching for Sugar Man and John Pirozzi's Don’t Think I’ve Forgotten: Cambodia’s Lost Rock and Roll are documentaries about music that became contraband during two repressive regimes, South Africa’s Apartheid and Cambodia’s Khmer Rouge era. That’s about where the similarity ends. Searching for Sugar Man concentrated on Sixto Rodriguez, an American singer and Don’t Think I’ve Forgotten, currently playing at Film Forum, deals with an idyllic period of Cambodia’s early independence from French rule when Western influences from France’s Johnny Hallyday, to Afro-Cuban, Santana and even Wilson Picket intermingled with a burgeoning Cambodian pop culture. That culture produced crooners with names like Sinn Sisamouth, Ros Sereysothea, Pan Ron and Mao Sereth who dominated the Pnom Penh musical scene. King Norodom Sihanouk, who ruled the country during those alternately repressive but culturally halcyon times, was the Maecenas of Cambodian art and created an atmosphere which allowed Cambodian music to move away from its purely traditional roots and participate in the tidal wave of 60’s rock. “When we were young we loved being modern,” is one of the first testimonies of the film which highlights a music that was characterized by a realism extraordinary even in the age of rock. “Please stop asking about your father,” begins one lyric, ‘he’s a womanizer and an embarrassment.” The Radio Diffusion Nationale Khmere which had broadcast Cambodian rock silenced it when the Khmer Rouge came to power in l975. Searching for Sugar Man was also different from Don’t Think I’ve Forgotten in that the form it took was that of a mystery circling around the whereabouts of the elusive Sixto Rodriguez. There’s no mystery about what happened to Sinn Sisamouth and his pals. Most of them were murdered.